Just 13 km North of Salisbury is Stonehenge where multiple concentric circles made of megalith structures dating back to the Neolithic Age can be found. We decided to visit the World Cultural Heritage Site on a day trip before we came to London. We bought the tickets online in advance. We opted for the “Stonehenge Tour” offer. The benefit of this tour provider was the free time management. Would we have bought our tickets from “English Heritage” we would have been assigned not only a date but also a time. The “Stonehenge Tour” offer only has a fixed date. Additionally, we had the option to pre-book a bus shuttle from the Salisbury train station to Stonehenge. Take the printed tickets with you and produce them on the bus. There are two tours on offer: the Bus & Old Sarum & Stonehenge ticket and the Bus & Old Sarum & Stonehenge & Salisbury Cathedral ticket. Admission to the cathedral is free! A donation is recommended, which is in this case collected by the provider. Rather make your donation then and there, like this you can decide for yourself how much you would like to donate. We started at Waterloo station and took a train to Salisbury. Tickets are available at ticket machines at the station, it’s quick and easy. The journey time was around 1.5h. The shuttle bus stop is directly in front of the Salisbury train station. The up to date departure times can be found on their website. Our bus was right on time! A seat located on the upper level of the bus is highly recommended. 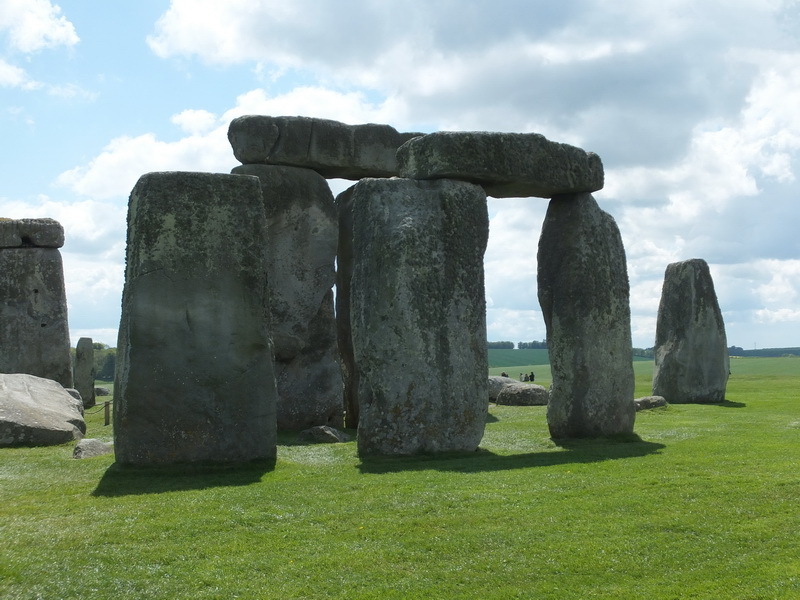 A little extra service offered by Stonehenge Tours is an audio guide for the drive to Stonehenge that informs (in easy-to-understand English) about the history, the buildings and Stonehenge itself. From the upper level, all of this can easily be seen. The shuttle bus stops in front of the visitor centre of Stonehenge. 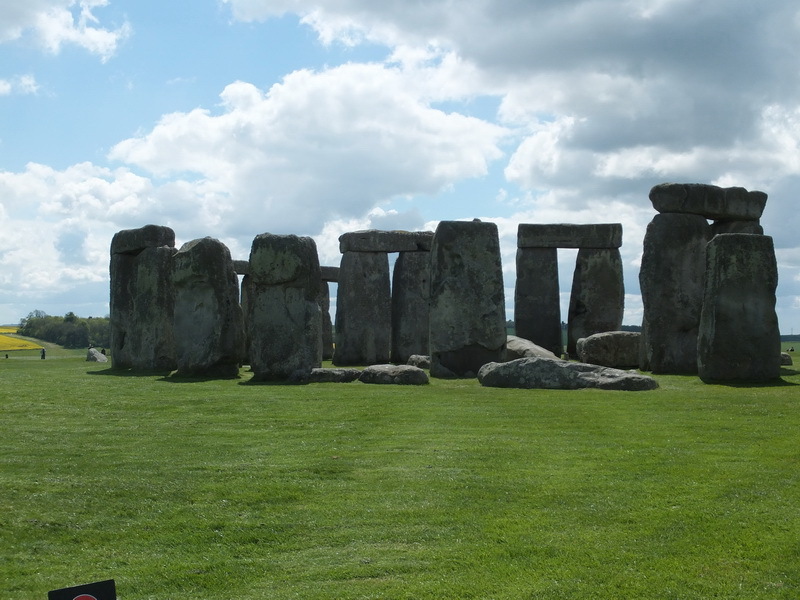 Visitors will be handed a ticket for the stone circle and the exhibition “Discover Stonehenge” as well as a free audio guide by the bus driver. Using the audio guide is highly recommended. It gives a good overview of what is known about the creation of the monument but also about current issues around it. For those who’d like to learn more about this in advance, there is an app that can be downloaded to phones and allows to listen to the full tour ahead of time. We went to the stone circle first. A shuttle ferries people from the visitor centre to the stones for free. Visitors can also walk the distance. The shuttle stops once, after around half the distance. Many visitors prefer to walk a bit of the way to the stones. At the stone circle itself, many first impressions are uttered around you. There are those who are, much like myself, totally into history and myths. Others stand and look and remark that there are really only stones to be seen here. As for my part, I was amazed. I enthusiastically listened to the explanations by the audio guide even though I had listened to the full tour multiple times before our visit. Back at the visitor centre, we proceeded to the exhibition “Discover Stonehenge”. Here, too, we learned many fascinating things around the creation of Stonehenge. After a good two hours, we made our way back to Salisbury on the shuttle bus. Stonehenge, das weckt Erinnerungen… Lang, sehr lang ist´s her. Vielleicht sollte ich den Besuch bei Gelegenheit doch mal wiederholen. Sehr informativer Post!